Assault and battery are types of crimes involving violence against another person and can be a misdemeanor or felony offense. In North Carolina, you can be charged with assault without even touching someone. Whether you are charged with a misdemeanor or felony assault or battery charge, you need to contact an experienced criminal defense attorney as soon as possible for help in avoiding the harsh consequences that you face. Simple assault. This is the least serious assault offense and involves unlawfully assaulting another person. This can include unlawfully touching someone or threatening someone with bodily harm when it appears that you have the immediate capacity to carry out your threat. Simple assault is a Class 2 misdemeanor. If you have no prior convictions, the sentence could involve probation or up to 30 days in jail. If you have been convicted of this offense in the past, the judge could sentence you to 60 days in jail, and you may be required to pay a fine of up to $1,000. Serious injury. If an assault inflicts serious injury to another person, an assault charge can be a Class A1 misdemeanor. 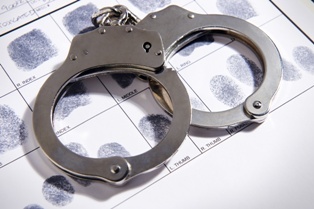 An A1 misdemeanor is the most serious misdemeanor offense that you could be charged with. Serious injury is not defined in the statute, but involves any injury that could require medical treatment whether or not the victim is treated by a doctor. The penalties include a jail sentence of up to 60 days, a fine with the amount in the judge’s discretion, probation, or supervised probation. If this is the second conviction, you could be sentenced to jail for up to 150 days. Use of deadly weapon. You could be charged with a Class A1 misdemeanor for committing an assault with a deadly weapon. A deadly weapon is considered anything—even an object that is normally not a weapon—that could be used to cause death or serious bodily harm. It can include a belt, broken bottle, and other heavy objects as well as a gun or knife. Sexual battery. Sexual battery is also a Class A1 misdemeanor and is defined as any sexual contact or physical contact that is committed for sexual purposes done with force and against the victim’s will. It is also sexual battery to engage in sexual contact with a person who is mentally disabled, mentally incapacitated, or physically helpless if you know, or should know of, the person’s incapacity. Particular victims. A simple assault charge can be elevated to a Class A1 misdemeanor if the victim is in a certain class of protected individuals. This includes women over 18 years old and children under 12 years old. An officer or employee of the state if he is conducting official business or a public, private, or charter school employee while on school property, at a school event, or transporting children are also given this added protection. Sports officials. Assaulting a sports official, such as a referee, coach, or umpire during a game is a Class 1 misdemeanor. A game can be any officially organized event, such as a Little League baseball game, school competition, or a professional sports event. The punishment for a Class 1 misdemeanor is probation, a jail sentence of up to 45 days, and a fine of an amount in the judge’s discretion. The jail time can be increased to 120 days if there is a prior conviction. You should not make the mistake of taking assault and battery charges lightly if you are charged with a misdemeanor. Besides the penalties you face, you will have a permanent criminal record if convicted. Let our experienced criminal defense attorneys help you build a strong defense to the charges you face. Raising defenses can result in the charges being dismissed or reduced—even if you are guilty. To learn more, call our office today to schedule your free consultation.